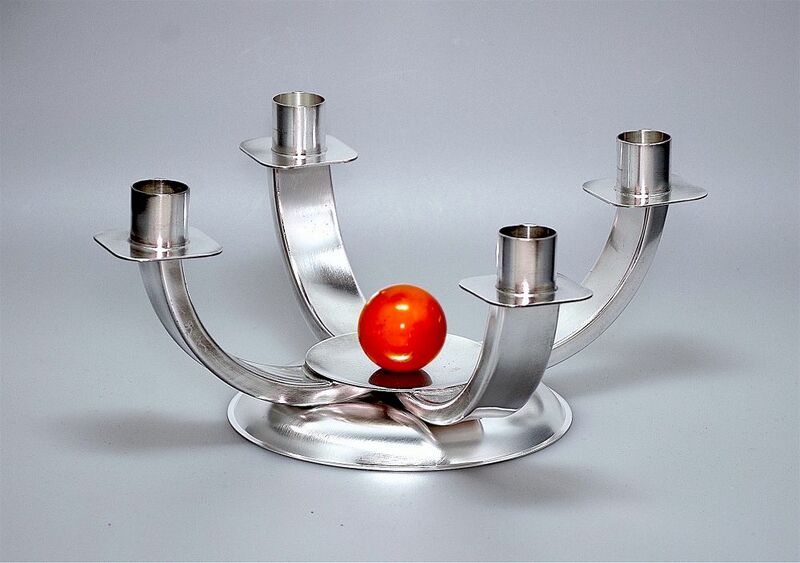 This superb silver plate & bakelite candelabra was made by the German company Quist. Made during the Art Deco period it has a round domed base that supports four curved branch rams with square round edged sconces below tubular candle holders. In the centre of the candelabra is a round plate with a sphere of butterscotch bakelite. The underside of the base is marked with a round cartouche within a domed cartouche. Thevinner round cartouche is stamped "Quist" and with a 5-point star. Useful & stylish.